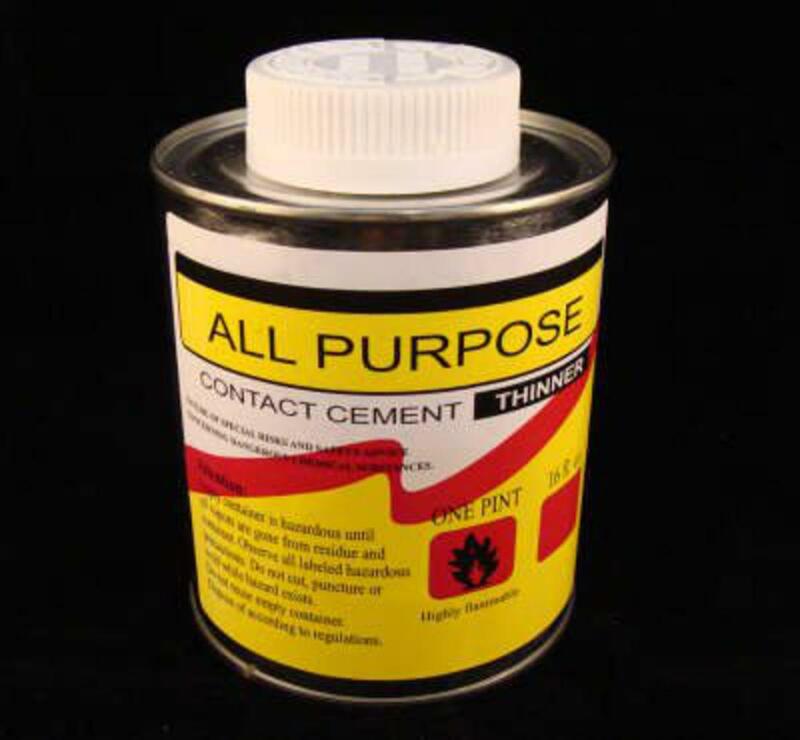 Anytime working with a contact cement it is useful to have it's own thinner. 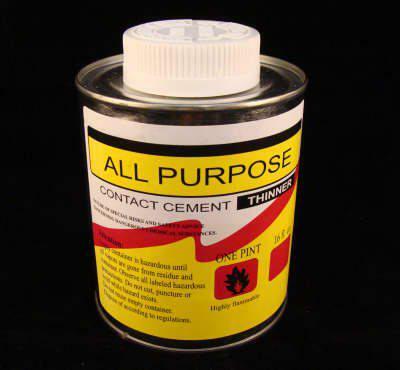 If the contact cement becomes harder, just mix some thinner and you are ready to work again. This thinner get all the excess stuff off of cue without hurting the finish. The picture shows both concact cement and the thinner. Each item is sold sperately. This is for the thinner only.